Motorcycle enthusiasts demand a wax proven to protect their classic, high-performance or collectible motorcycles in demanding environments, rain or shine. 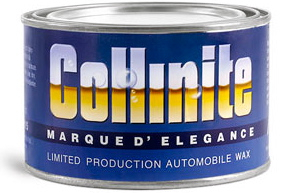 They know Collinite's Marque d'Elegance is formulated from the purest concentration of Carnauba waxes. It protects every two, three, or four wheel investment with a deep, lustrous shine that goes down deep to lubricate and feed expensive paint jobs. It's totally non-abrasive and clear coat safe. Easy to apply and absolutely detergent proof. 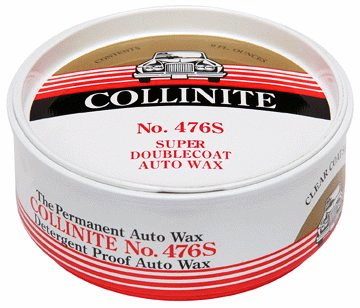 Collinite Super Doublecoat is guaranteed to outlast and outshine any other competitive motorcycle wax, polish or protective coating under any conceivable condition. That's why it's called the permanent wax. No hard rubbing or buffing, and no special applicator required. Collinite Super Doublecoat will last a full year, even under adverse conditions. Clear coat safe. This heavy duty liquid wax was originally developed for use by electrical power companies for protection against high voltage power failure, fires and explosions. It's primary use is on the finishes of motorcycles, automobiles, trucks, buses, and airplanes where durability, high gloss and lasting protection are paramount. Excellent choice for fleet applications and very easy to use--requires minimum rubbing or buffing. Clear coat safe. Cleans, beautifies and protects leather and vinyl motorcycle and household upholstery in a single, easy operation. Leaves a high gloss with a protective coating against wear, deterioration, spills and oxidation. Can be easily cleaned with a damp cloth. Easily removes dirt, film, discoloration, oil, grease, tar, wax and bug stains from highly finished surfaces. Recommended for cleaning motorcycle paint, chrome and aluminum accessories. Also great for enameled, lacquered and varnished furniture as well as chrome fixtures and appliances. Not recommended for clear coats. 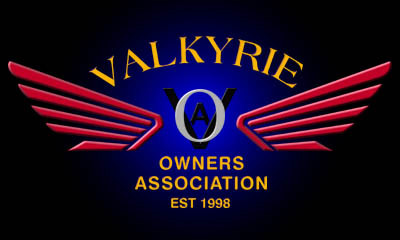 10% discount to members with VRCC #! 10% discount to members with VOAi #!